It always crops up under the ‘meant to be good’ banner when people, pondering where to stuff themselves silly in Leeds, ask for recommendations on Twitter, but we didn’t know anyone who’d actually set foot in the place. So, given that this is a public service (and definitely not just a lame excuse to get knee-deep in food and grog whenever poss), we recently (yesterday) bounded into Ambiente, down on the Calls, for a spot of luncheon. In fact so seriously do we take our reportage responsibility that we were there 5 minutes before it opened (12 noon, daily) and were given a table at the far end by the balcony overlooking the canal; the breeze from which suggested there were swelling waves down there that even Pat Swayze in Point Break would have had a second look at before deciding ‘nah, not today’. Door duly closed, menu perused, wine ordered. 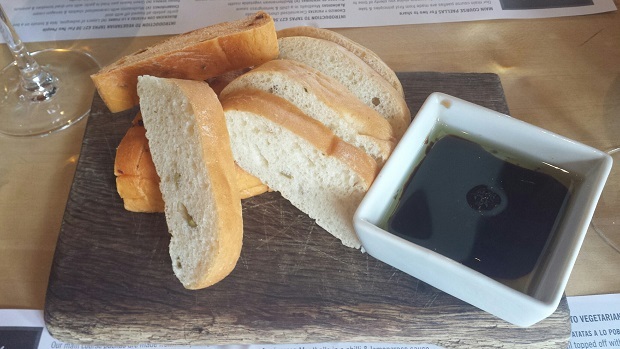 Bread’s bread in a lot of places, but this was fresh, soft and particularly good at absorbing the sharper-than-the-norm balsamic vinegar. Going to a tapas restaurant and not getting acquainted with something chorizo-y would be wasteful. This stuff, charred and crumbling, smoky and rich, came in a treacly sauce that just stayed on the right side of sweet. Potatoes did their job of soaking up the good stuff. 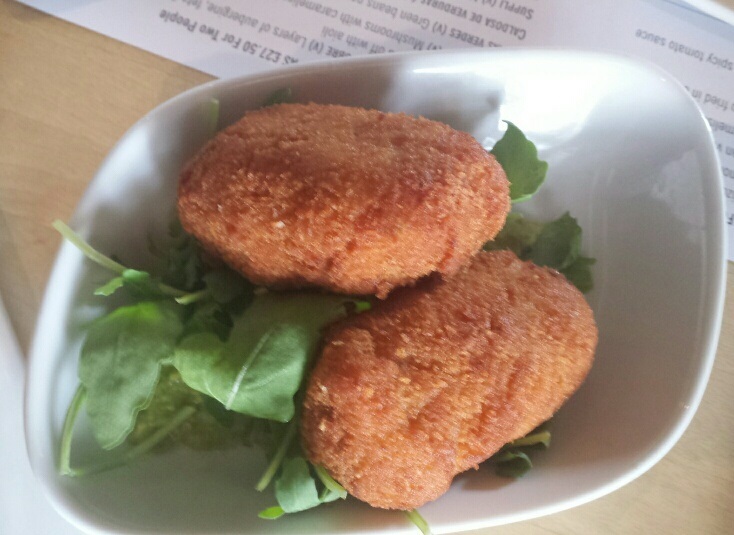 We agreed that the ham croquettes – two thick cylinders with a crunchy casing – contained ‘good stodge’. That’s to say that they weren’t oozing bechamel but had more texture and heft, and that’s a good thing. They came on a ham and pea ‘broth’ that was more a puree, really. No biggy. It’s not all Viva Espana, though. 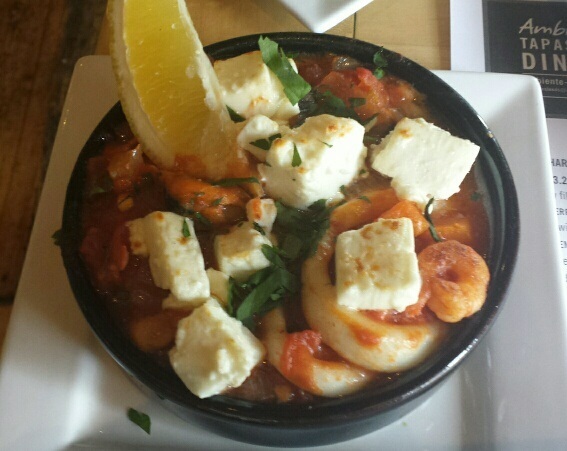 There was a Greek-influenced dish of “Seafood Saganaki” which, with its tomato-stew/sauce was tasty enough but the mussels and prawns were a bit deflated in both texture and flavour. We wondered, as we do when we try to give the impression that we know what we’re on about, if a bit of white fish (even the cheap stuff) would have been preferable. The feta on top was good though and added body. 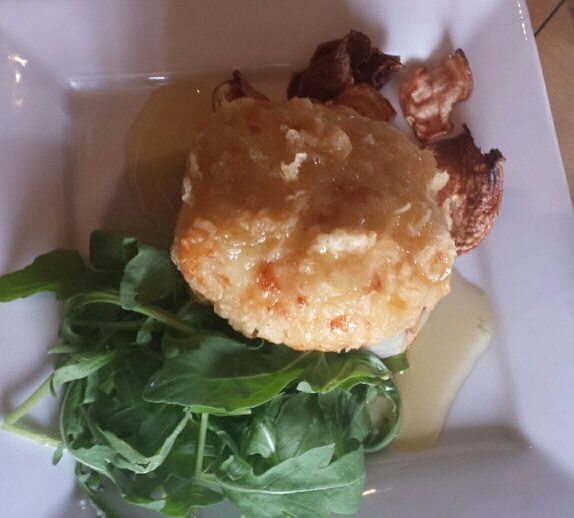 Goats cheese in a light batter, anointed with a drizzle of honey, was all the better for its simplicity and had kept its texture despite a brief dip in the fryer. Arguably the dish of the day (just pushing in front of the chorizo, which we probably haven’t made enough of a fuss about: it was really good that chorizo) were the livers wrapped in bacon. 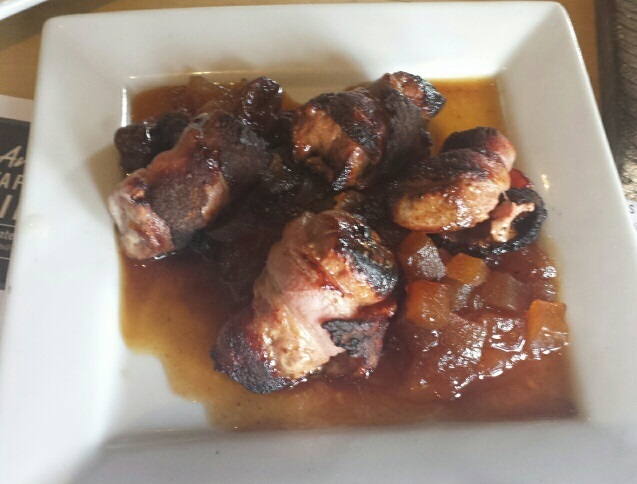 Beyond the decent enough bacon, the gamey flavour of liver, and that nice-weird texture it has, was tasty stuff indeed. 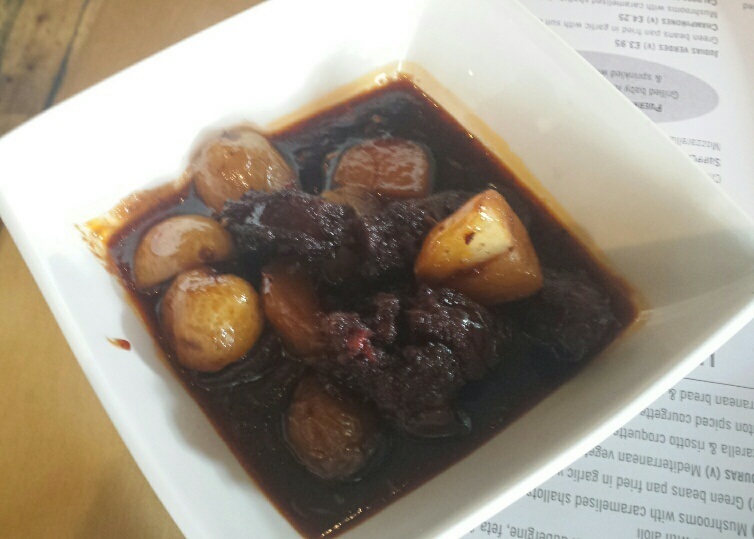 The sherry-infused apple chutney took the edge off the richness, but it was the sultanas in the chutney that stood out. For those that don’t do ‘fruit and savoury’, it’s easily pushed aside, but you’d be daft to do such a thing. 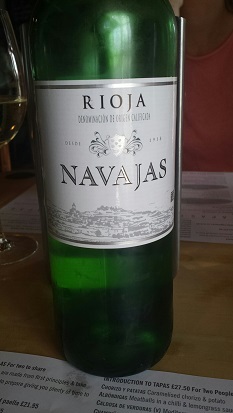 We found reet good bottle of white Rioja, too, on a wine list that starts at £15 and goes up to about £35. 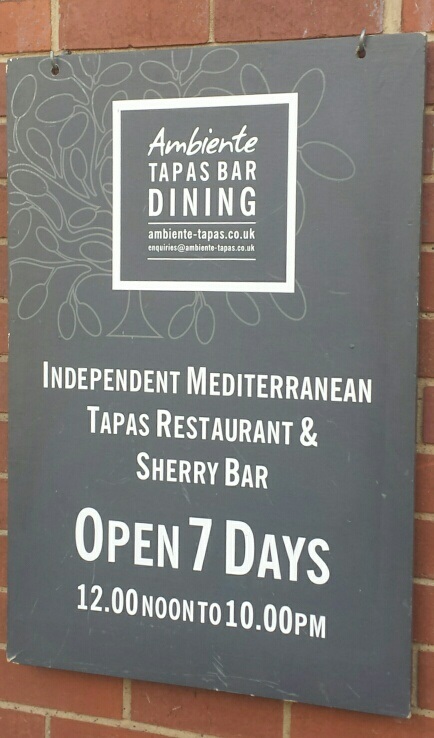 The menu states that with it being unoaked and dry and all that, it’s perfect with tapas. The second bottle was as good as the first, so they must have a point. 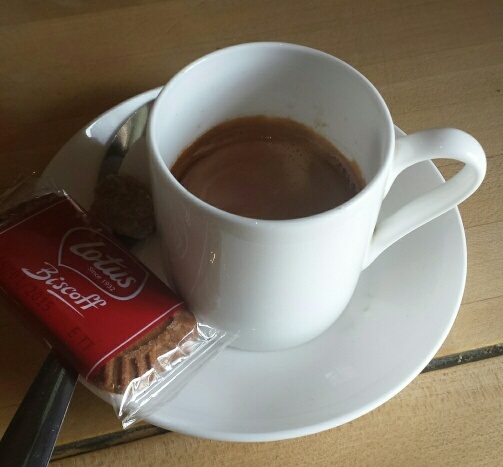 Worth noting, too, was the double espresso we had to round everything off. Testament to its strength that, 10 hours and a shedload of wine later I was still wide-eyed and able to watch Match of the Day, which is quite the success story. There was a steady stream of punters coming and going as we languidly ate and drank ourselves into a stupor, and now we know it is good and not just ‘meant to be good’, we’ll be heading back to do more of the same. The bill came to about 70 quid. You could eat for much less or, if you get amongst the sherry, a bit more.